Working in a kitchen can be a messy business. You're constantly working with food, hot oil, and messy sauces. It's hectic and sometimes you may feel like you barely even have a chance to catch your breath. 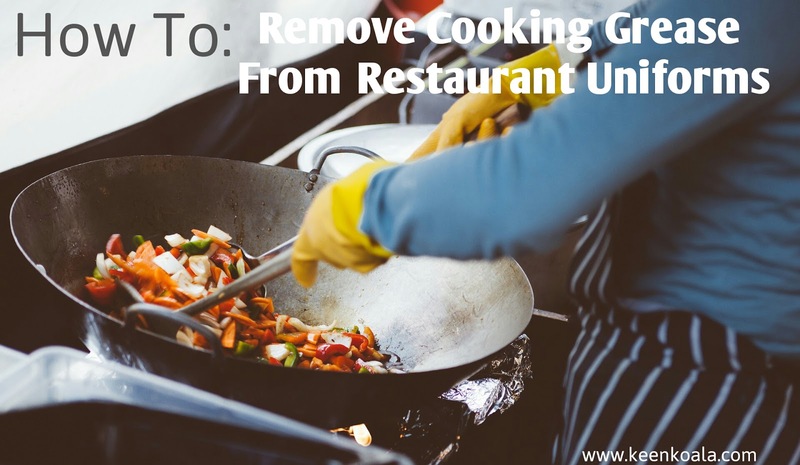 So, when you get home, the last thing you want to think about is dealing with the oily build-up of grease on your chef's coat or uniform. Instead of just throwing these soiled items in the washing machine, use this simple method to keep your uniform looking new. Because let's face it, work uniforms are expensive and employees often have to pay for their own work clothes. This incredibly simple de-greasing regimen can be repeated once a week or as often as necessary to keep your clothes looking spotless. Fill your washing machine or pail with hot tap water. Add 1/4 cup ammonia, 1/4 cup laundry detergent, and 1/2 cup Arm & Hammer Super Washing Soda. Mix until dissolved with a gloved hand. 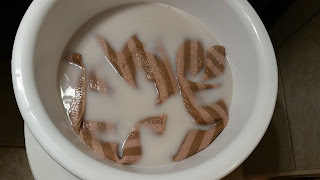 Add your soiled clothing items and scrunch them around in the mixture until all the fibers are penetrated thoroughly. Allow the clothes to soak in the solution for 8 hours or overnight. Go back every few hours to scrunch and agitate the items with a gloved hand. Once the appropriate amount of time has passed, drain the solution and wash your clothes as you normally would. 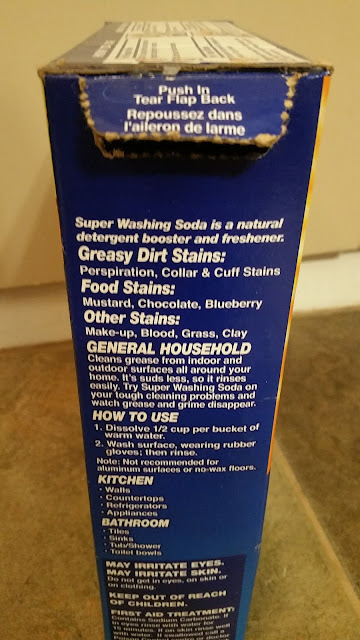 You won't really be able to tell how well this method works until your clothes are dry, but once they are, I hope you will be pleasantly surprised with the results. 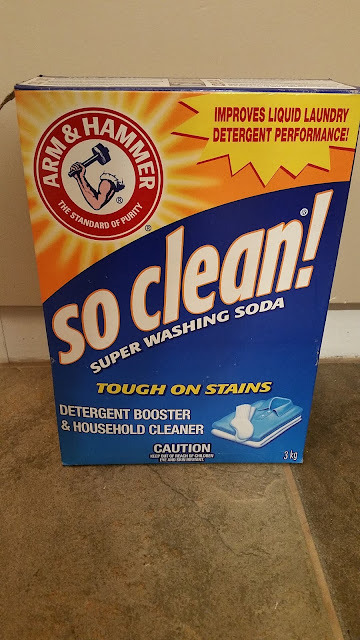 The star of this cleaning method is the Arm & Hammer Super Washing Soda, which is made of sodium carbonate. Now, don't get this mixed up with sodium bicarbonate (baking soda) as they are two different things. When you soak your greasy clothes in sodium carbonate, a chemical reaction happens where the grease or oil in your clothes reacts with the sodium carbonate to create soap! Which is then easily rinsed away. Isn't that cool? *Just a word or caution. While this method works amazing for sturdy fabrics like cotton. I would not recommend using it on delicate items or on fabrics with a heavily saturated color as this method may harm sensitive fabrics or cause the colors to fade. If you found this article helpful, please LIKE us on Facebook for immediate access to exclusive posts, content, and cisterns by clicking HERE!